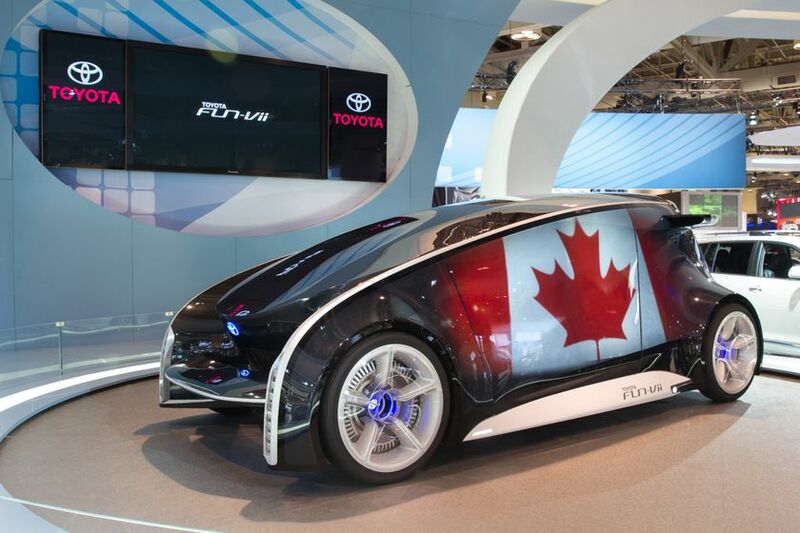 TORONTO, ON., (February 14, 2013) – The Toyota Fun-Vii concept vehicle will debut in Canada for the first time at the Canadian International Auto Show, February 15-24 at the Metro Toronto Convention Centre (MTCC). Designed to attract a younger generation that is increasingly tech-savvy, the Toyota Fun-Vii (Vii stands for Vehicle, Interactive, Internet) is a concept vehicle that heralds a not-too-distant future when technology and automobiles will be seamlessly integrated. The Fun-Vii boasts an array of notable innovations, such as car security based on biometric authentication, a breakthrough navigation system that intuitively projects needed information through augmented reality, and wireless re-charging. In addition, the Fun-Vii is covered by impact-resistant body panels that transform the car exterior into one big display, and the same technology is also on the inside of the car, enabling the look of the interior to be fully adjustable as well. Auto show visitors can see the Fun-Vii at the Toyota Canada booth, located on the 800 Level of the South Building of the MTCC.